Chittagong University (CU) authorities on Tuesday suspended 11 of its students for different terms on various charges, including assaulting a journalist and two students. Quoting CU Proctor Mohammad Ali Asgar Chowdhury UNB said four students were suspended for assaulting journalist Minhaz Tuhin when he protested ragging on September 10. 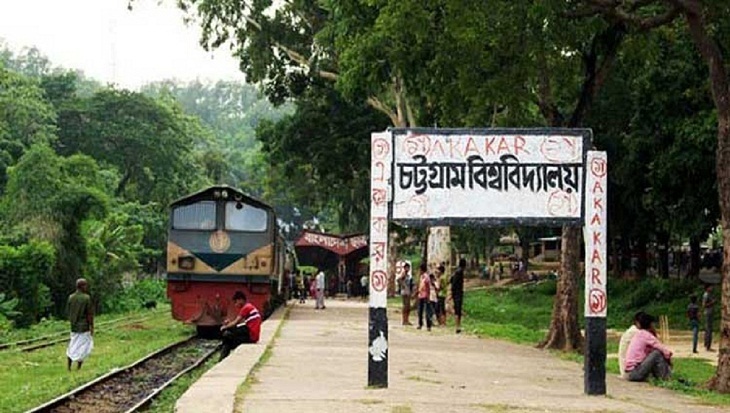 Mahmudul Hasan Rupak, a student of English department, was suspended for one year on the charge while Sabbir Hossain and Rajibul Alam of History department, and Taimur Hossain of Marketing department, faced a two-month suspension, he said. Besides, Emad Uddin, Salauddin Sazzad and Ibrahim Khalil of History department and Lipton Das of Physics were suspended for two months on charge of beating up Salauddin Chowdhury, a Master's student of Mass Communication and Journalism department, and Santanu Nath, a student of Computer Science department, on September 9. Meanwhile, Rifat Hasan of Marine Science department and Kawsar Ibn Hasan of Botany department were suspended for six months in connection with stealing of a laptop from the room of Jahin Khandaker on July 30. Samdani Rahman, a student of Modern Language and Institute, was suspended for one year on charge of beating up Giasuddin Imran of History department at Suhrawardy Hall on March 29. Issuing a note of warning, the CU proctor said strict measures, including revoking studentship, will be taken against those involved in any unpleasant incident.